Currently trying to get out the door to a Mariner’s game with my crew on the last day of Spring Break but wanted to get this up for you guys first! 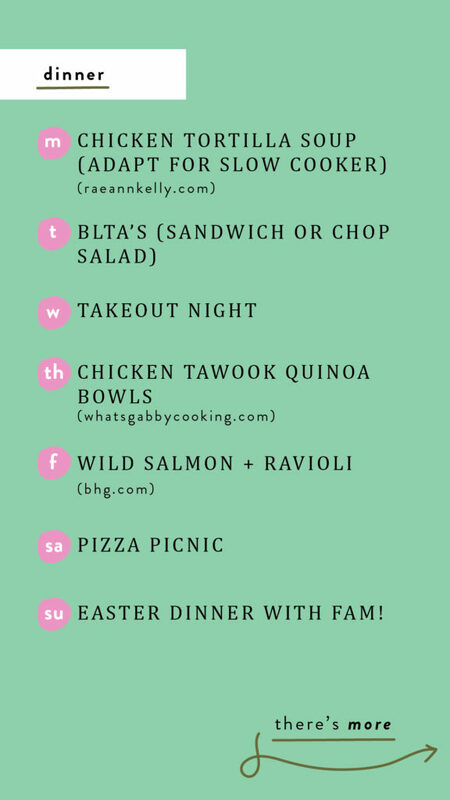 Take a peek at what’s on our meal plan this week… So not ready for break to be over (why does it go so quick!?) buttttt, here’s to slowly getting back to a normal schedule and finishing up all the Easter prep! M | chicken tortilla soup — easy to adjust for the crock pot too! SA | pizza picnic since the sun is supposed to come out! 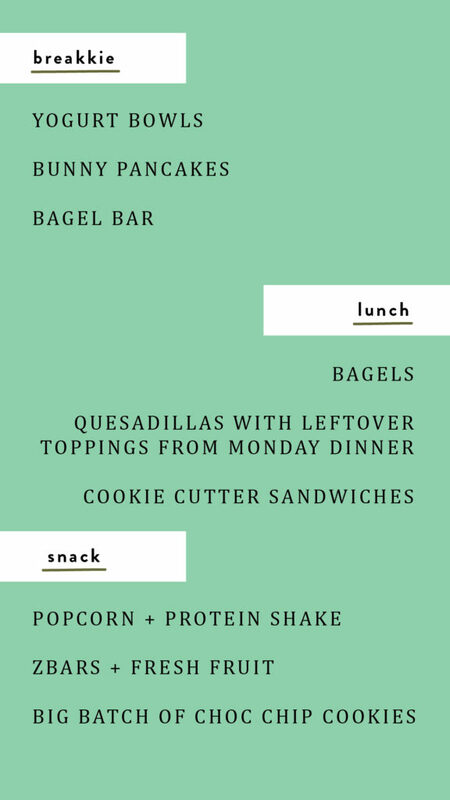 LUNCH | trying to double up with ingredients so bagels (for breakkie too), quesadillas (with the help of monday’s dinner) and cookie cutter sandwiches (using ingredients from tuesday’s dinner) it is! SNACK | popcorn + protein shake, zbars + fruit, big batch chocolate chip cookies you can freeze! 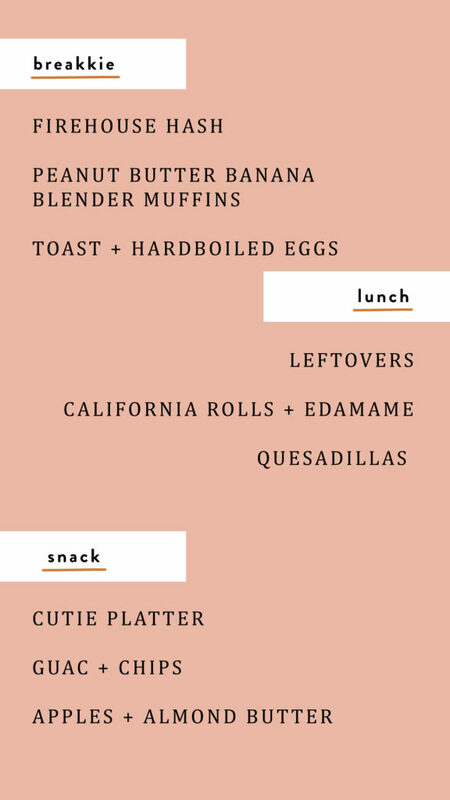 Do you guys have any go to dishes for Easter Sunday brunch or dinner?! Please share! 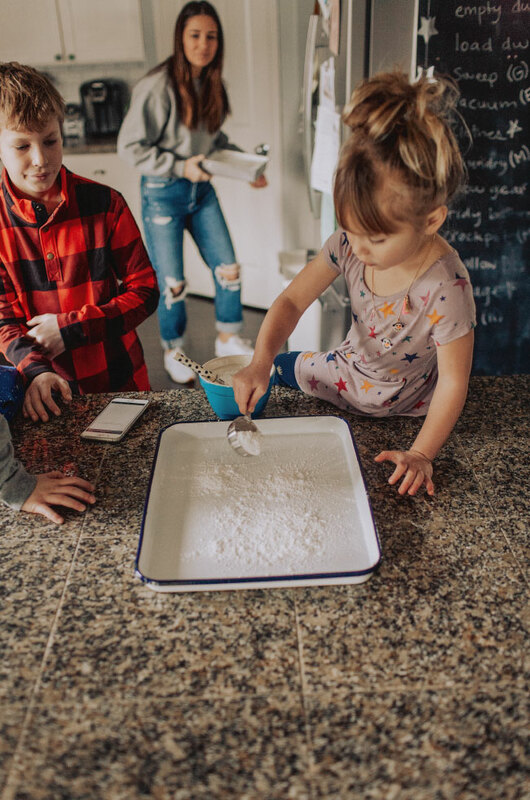 The kids are on spring break this week so with the exception of baking with my helpers, my goal is to be in the kitchen as little as possible while still making sure everyone has plenty of healthy food to eat. I’m also guessing we’ll be handing out lots of extra snacks so stocked the pantry and fridge yesterday and plan on making lots of charcuterie platters (meat, cheese, crackers, fruit, veggies, dips and nuts). Here’s what’s on the menu! BREAKKIE | firehouse hash (Johan doesn’t have an exact recipe, but this one is similar if you add sausage and cilantro and skip the kale), peanut butter banana blender muffins, toast and hardboiled eggs… or just a good old fashioned continental breakfast set up! Speaking of keeping the kitchen stocked… how do you guys schedule (or not schedule) your shopping trips? 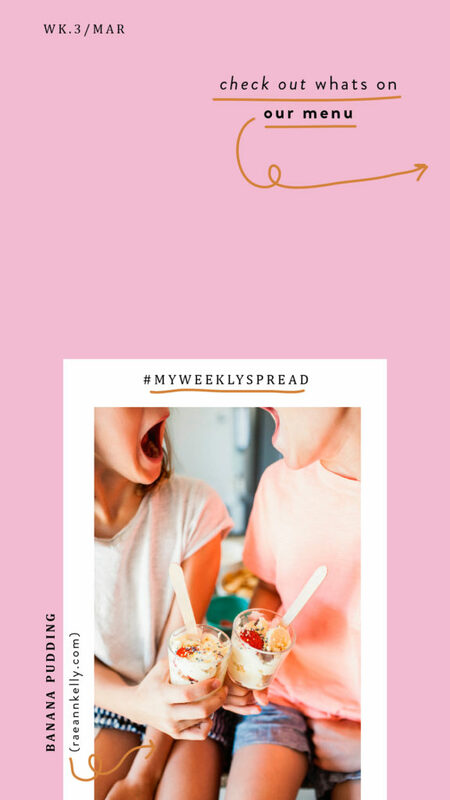 I try to stock up on Mondays, including ingredients for 2 or 3 dinners and then go again on Thursday, but we always seem to make extra trips — wondering if I should just embrace that it’s part of life with kids or try to plan a little better, lol? Today we’re starting a new series that puts a spin on the usual “SPRING CLEANING” topic. 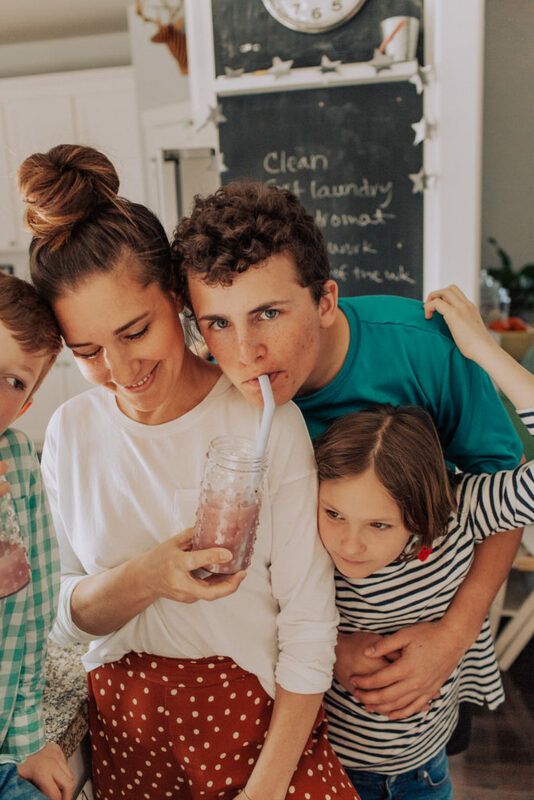 Instead of focusing on cleaning up living spaces I thought it would be a welcome change to talk about small ways to hit refresh on everyday habits starting with 4 simple ways to cut back on plastic use at home. Keep in mind that this is less about being perfect or making drastic changes that are too hard to sustain, and more about making small changes that will eventually gain momentum and make a big difference. Some of you are wayyyyyy ahead of me with these environmentally friendly habits (don’t judge, ha!) and I would love for you to chime-in, in the comments with other ideas! 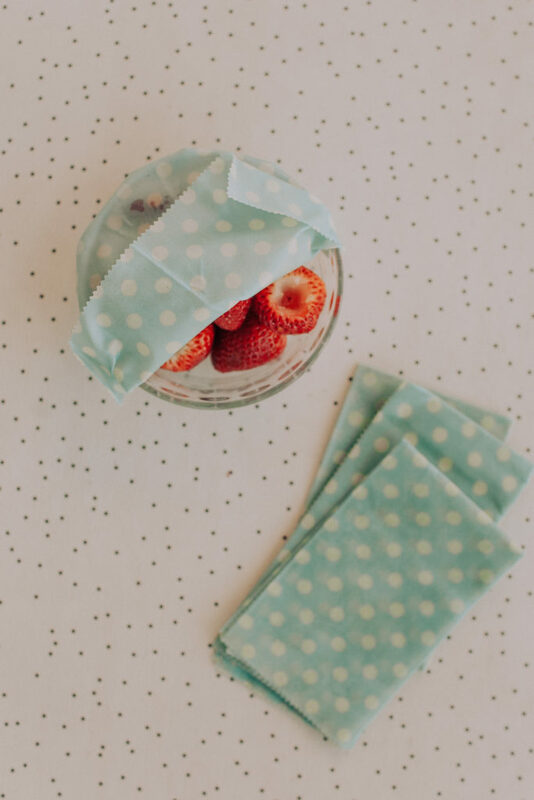 This adorable beeswax wrap is organic, sustainable and a great alternative to plastic wrap and even plastic bags — use to cover food before putting in the fridge or wrap up a sandwich or other snacks when you’re on the go. 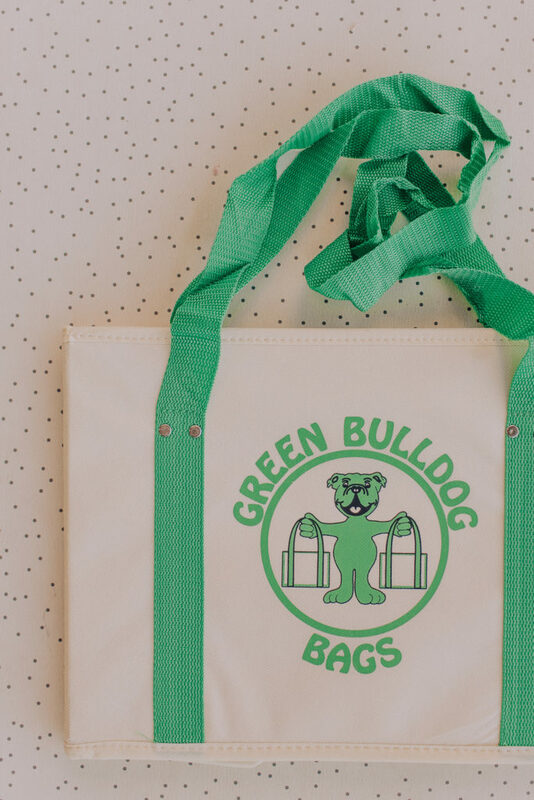 Buy reusable grocery bags that are easy to store and manage so you’ll actually use them! Or is it just me that gets annoyed with floppy bags that slide around in the back of my car so they end up getting stored in the pantry and are inevitably forgotten 75% of the time? Instead of constantly feeling guilty when I make it to the checkout line and realize I’ll be choosing between paper or plastic, I finally purchased these grocery totes that I love! They are so much sturdier, fit a lot (although not as much as they look on amazon) and will even stay open which makes it so easy to store in the trunk, use for other things and unload once we’re home. If you’re shopping with kids in-tow then lugging around reusable produce bags is probably low on the priority list, but it does get easier as the kids get older and once you have one or more that’s around school age, it can be fun to put them in charge of carrying bags and also filling them with whatever’s on your shopping list! 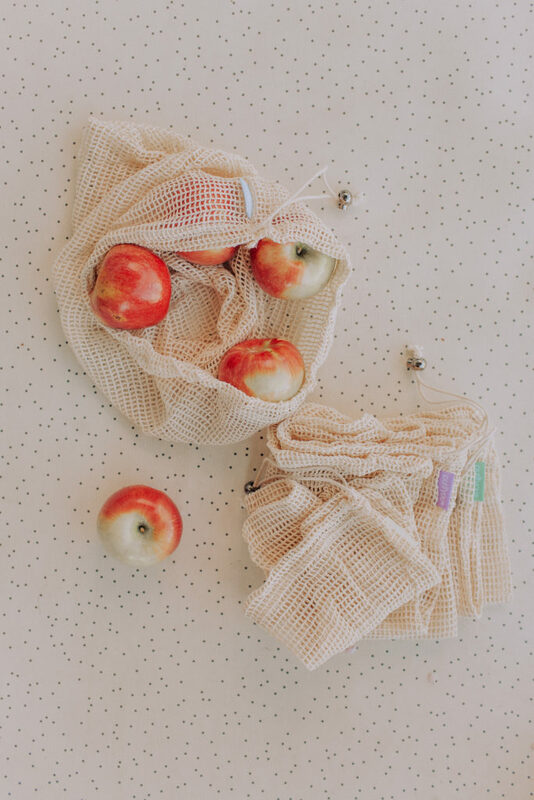 Love this set of produce bags, but there are lots to choose from or you can DIY! Also, for anyone that buys bulk, how do you get everything through the checkout line and home without using plastic bags? Ahhhhh, these kids! I’d do anything to make this world a better place for them and always want to be a good example too. I’ll share all the products on instagram stories later today if you want to see them IRL. 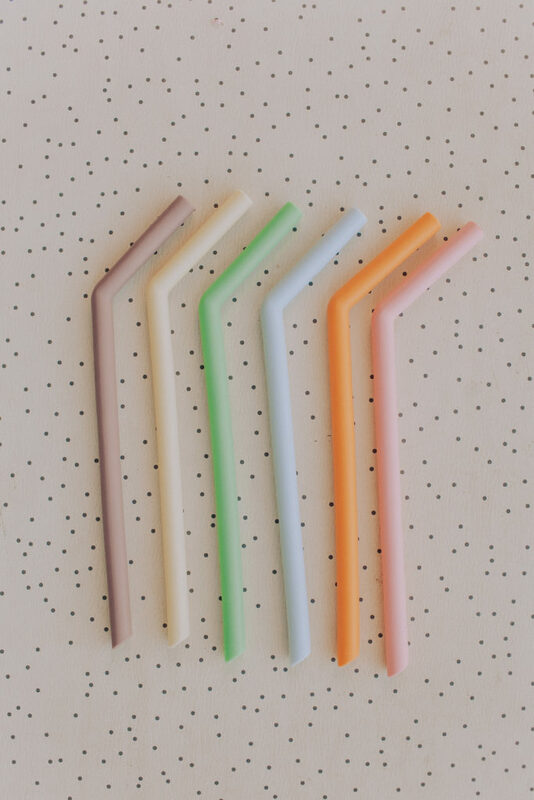 We also DIY-ed a starbucks pink drink to highlight the reusable straws that I’ll share too! Now, I’d love to know what else you would add to the list? What small-ish environmentally friendly change should we make next? 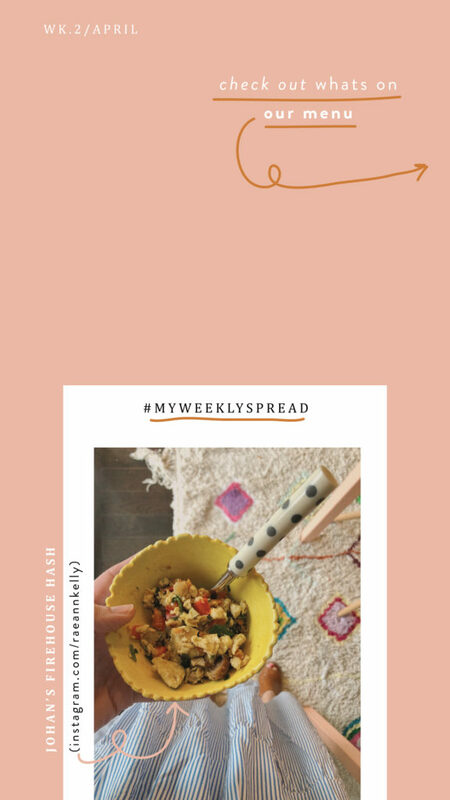 As promised, I’m sharing my meal plan templates below in both Photoshop and jpgs… will also share on Instagram Stories (and then save to a “meal plan” highlight) if you prefer to take a screen shot and then use. Let me know if you have any other requests. So excited about our meals this week. With baseball games starting and the sun being out (yay!) 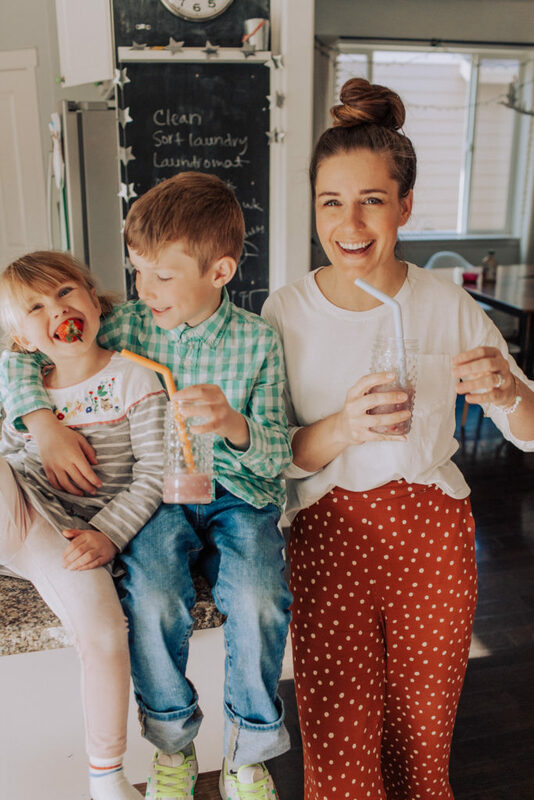 I tried to stick to meals that are simple and easy to adjust — so we can all say “YES!” to impromptu outings and get togethers. Also included a very yummy recipe for Magnolia’s banana pudding for all those that made it (or wish they could’ve made it) to the silos this past weekend. Check it all out below! w | chicken tenders + fries (homemade or takeout) + chopped (or costco) salad — we’ll be at a baseball game in Tacoma so plan on bringing a salad and then stopping by our favorite local spot for a few orders! breakkie | muffins are always a welcome change of pace early in the morning or as a snack. 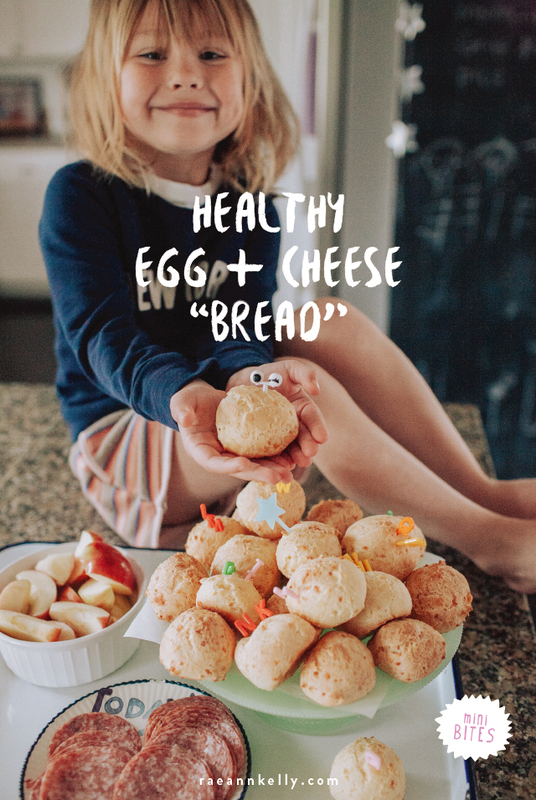 we enjoy this recipe! the copycat sausage breakfast sandwiches were a big hit (plus we bought the sausage patties from costco) so we’ll be making more this week. 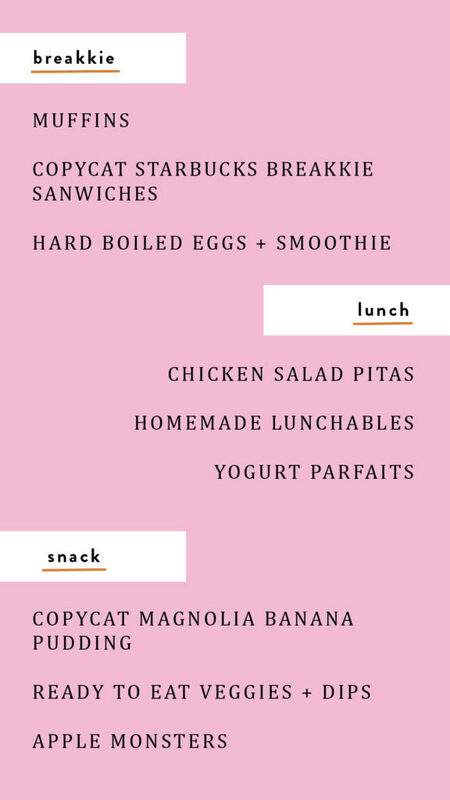 i should’ve written “eggs” since everyone likes theirs differently (not just hardboiled) but eaten in any form with a fruit smoothie strikes a perfect balance anytime of day but especially in the morning! lunch | chicken salad (make a batch at the beginning of the week) pitas are fun, stuffed or as a dip. homemade lunchables are my favorite to pack and parfaits just seem like a good way to spice things up! 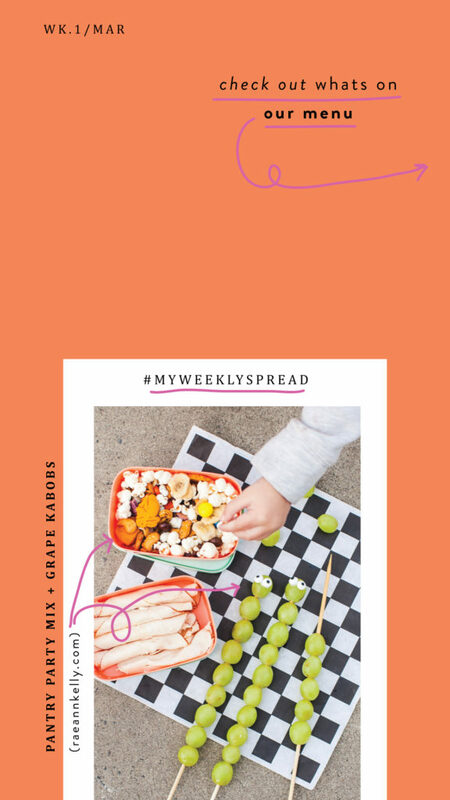 snack | this pudding recipe is so good… perfect for a playdate treat! trying to do more prep work at the beginning of the week to make things run more smoothly with our schedules filling up, including veggies to snack on. 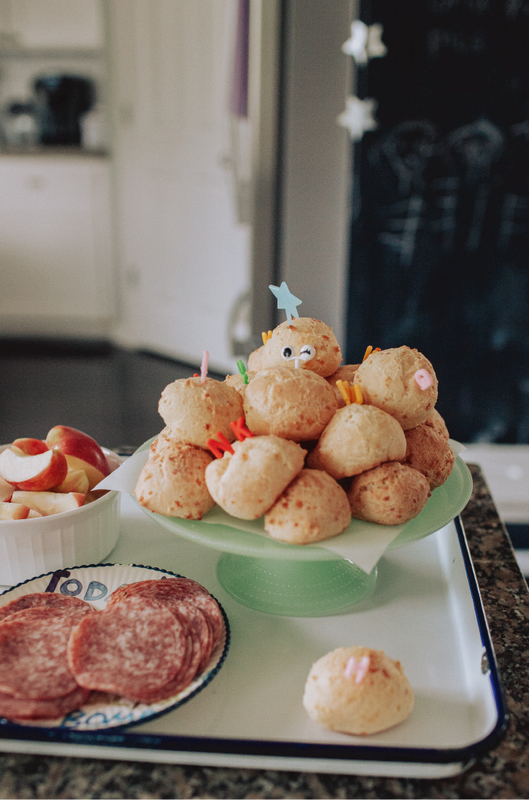 these apple monsters are a fun snack too! 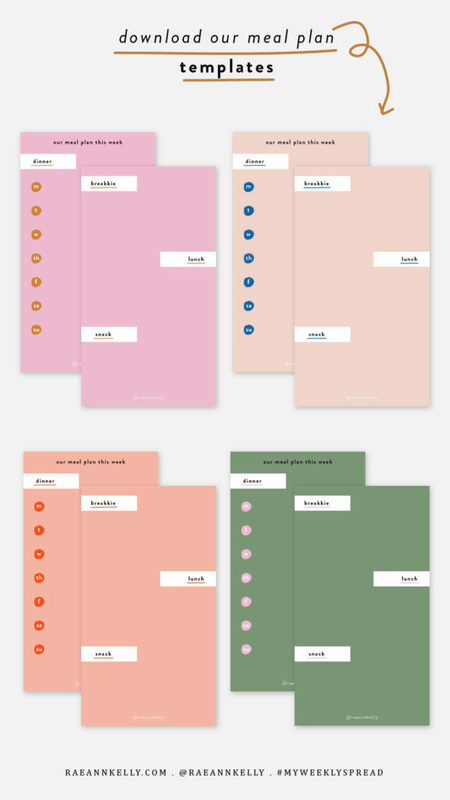 CLICK HERE TO DOWNLOAD via Dropbox. If you don’t have a Dropbox account, it’s super easy, doesn’t cost anything and won’t clog up your email with junk either. Let me know if you have any trouble and don’t forget to share with your friends! They’re bite sized, gooey and delicious and we basically keep Starbucks in business ordering them so I figured it was time to whip up a batch at home! 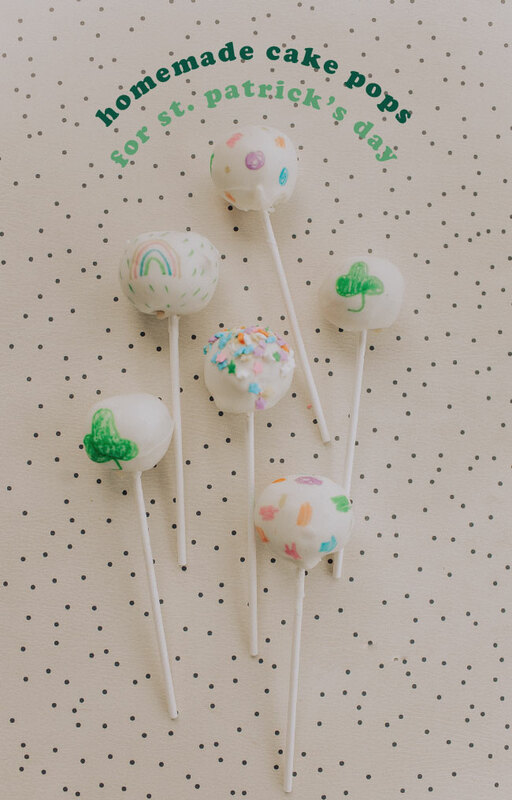 And since St. Patrick’s Day is a week away I ordered these food safe markers and let the kids have fun drawing shamrock and rainbow inspired doodles on the outside. More details below! Aren’t they cute? We used this recipe (yum!) and these markers and sprinkles. Making them takes about 4 steps with time to cool and harden in between. It’s almost a full day process but luckily there isn’t much hands on time or dirty dishes required. I wasn’t sure what to expect (even after reading the reviews) but was impressed with how well the markers worked… and how easy it was for the kids to use them! 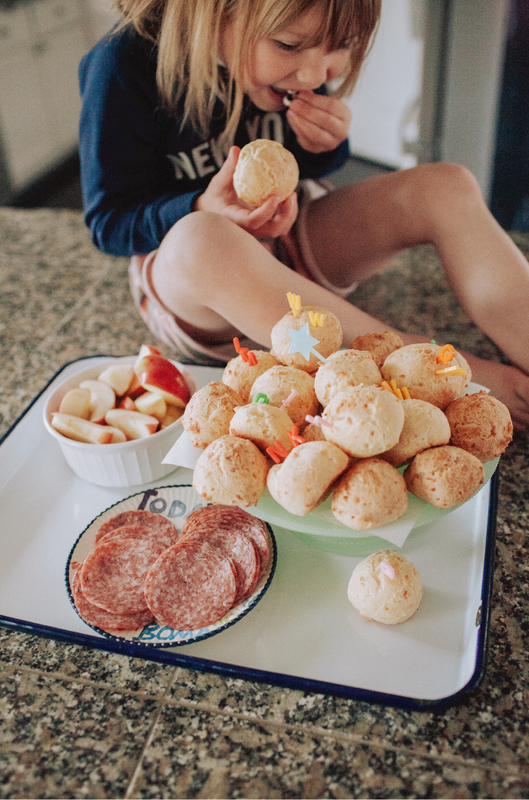 St. Patrick’s Day isn’t on a school day this year and we’re not much of a corned beef and cabbage type fam so these tiny treats seemed like the perfect way to celebrate but they could be decorated for just about anything. 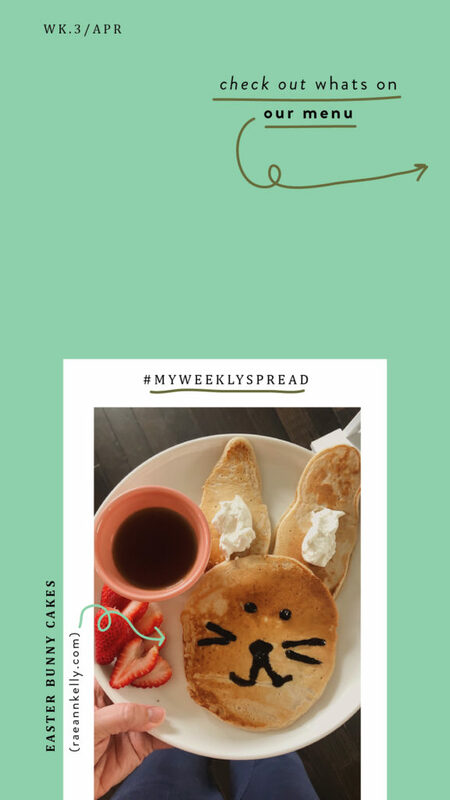 Oh and I also found a fun and easy shamrock shaped dinner idea too… shared in this weeks meal plan HERE! How do you celebrate St. Paddy’s Day!? We got a little glimpse of spring over the weekend in the form of sunshine and daylight savings (yay!) and spent a ton of time outside (double yay!)! Things are moving a little slowly this morning so we’ll see how I really feel about the time change in a couple hours, lol. 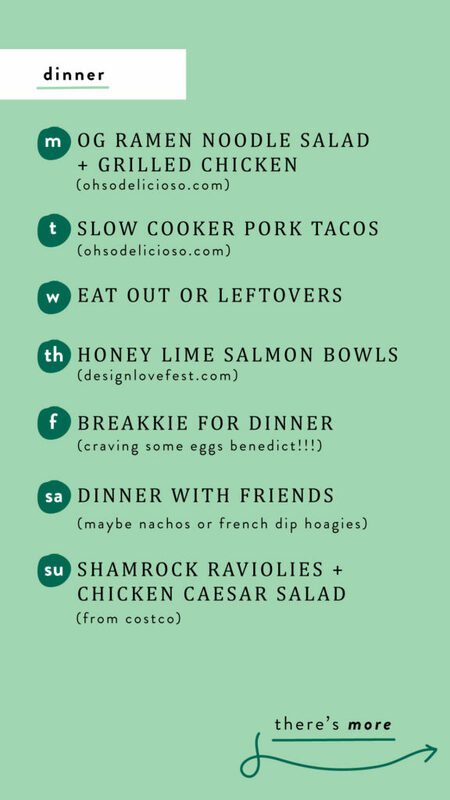 Crazy how one hour can mess up your routine… hopefully this meal plan helps get your week going! TU | slow cooker pork tacos… there are lots of recipes out there but oh so delicioso recipes never disappoint! 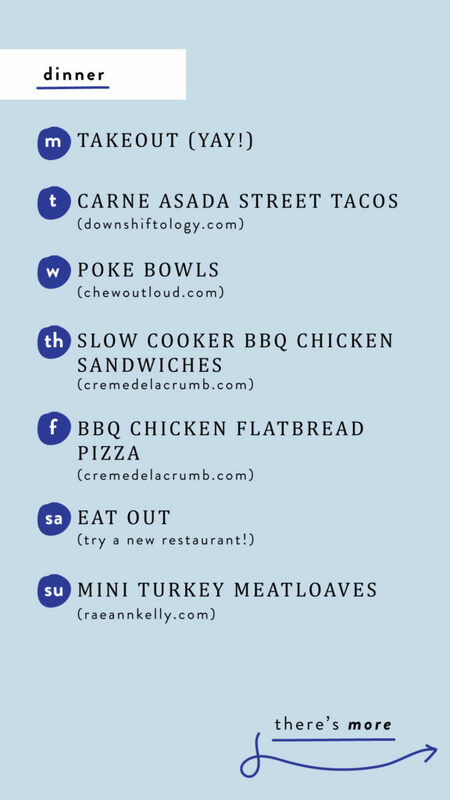 W | eat out or leftovers… hoping we’ll have enough pork meat leftover for fun nachos or quesadillas. mexican two nights in a row, yes please! TH | honey lime salmon bowls — these look so yum and healthy and king salmon is in season (sub other fish or meat if not available where you live) just be sure to buy WILD and not farm raised! F | breakkie for dinner — this eggs benedict recipe is calling my name! 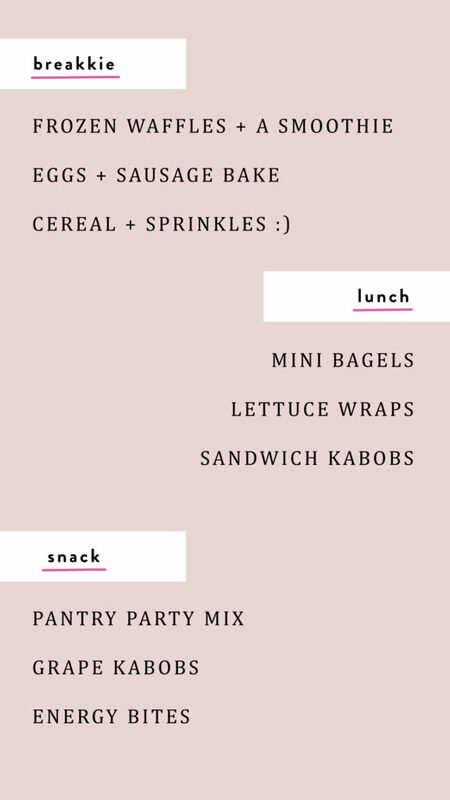 BREAKKIE | all the kids’ appetites have been crazy lately so planning on pre-making a bunch of these sausage breakfast sandwiches for a quick but still filling meal or snack, toast is my favorite comfort food (here are some savory options), and overnight oats are sooooo good too… try these recipes if you don’t already have a go-to! 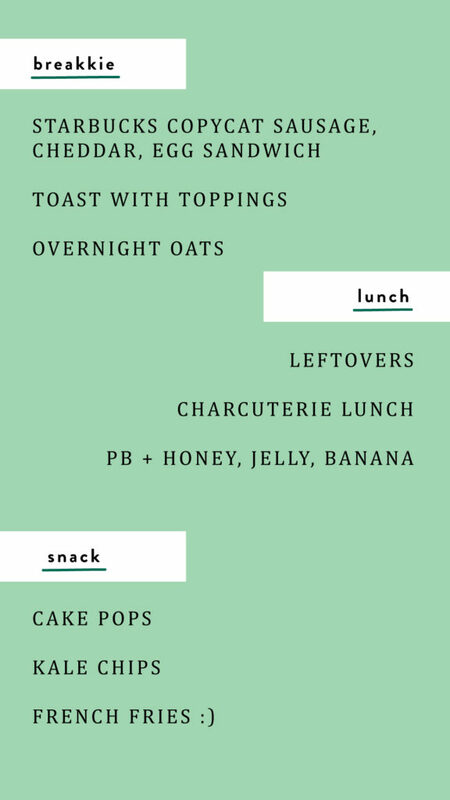 LUNCH | at this point of the school year we’re in need of easy options that still feel special — leftovers, charcuterie and different PB+J combinations seemed to be perfect options! SNACK (and a treat too!) 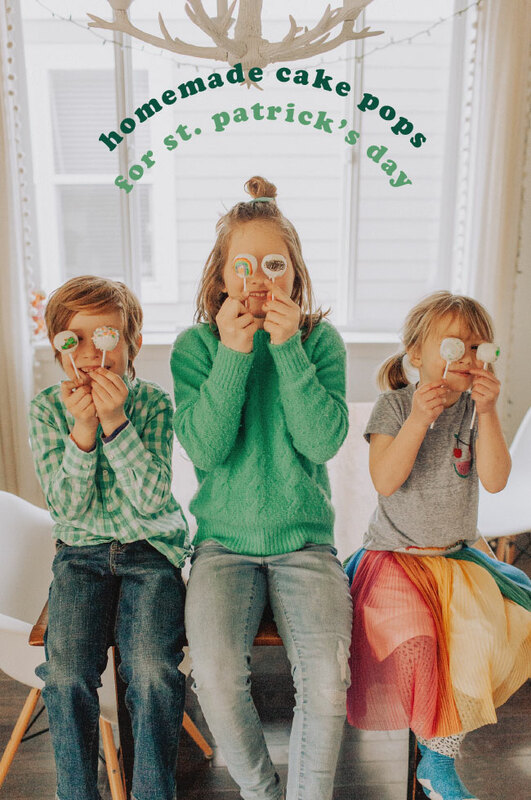 | shared some cake pops for st. patrick’s day in this post, homemade kale chips (good tips here but I like making them with salt and coconut oil) are so good and french fries are everyone’s favorite appetizer to order at a restaurant to tie the kids over so why not serve for after school snack!? So excited to get my shopping done and eat alllll the food this week! What do you guys think? 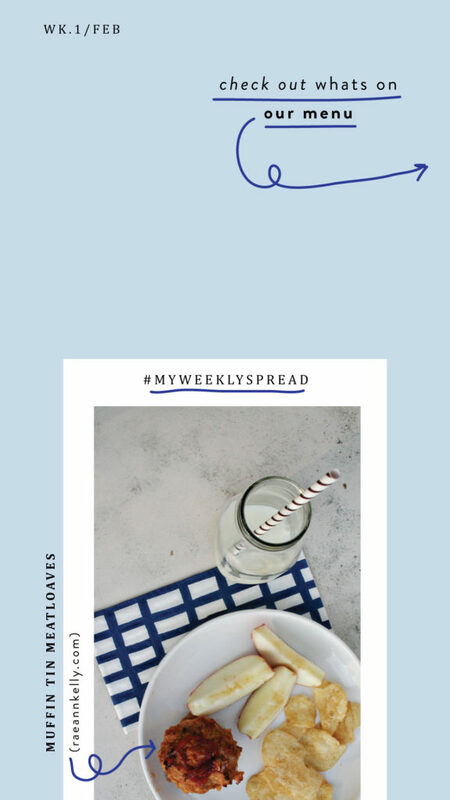 After a couple week hiatus (courtesy of a crazy week followed by the flu) I’m so ready to jump back into our weekly meal planning and kick March off with some momentum. In addition to getting organized and coming out of our winter hibernation mode, I’m hoping to get a head start on spring cleaning (i.e. purge) so once all the spring sunshine, park dates, and baseball games show up I’ll be ready to play…! 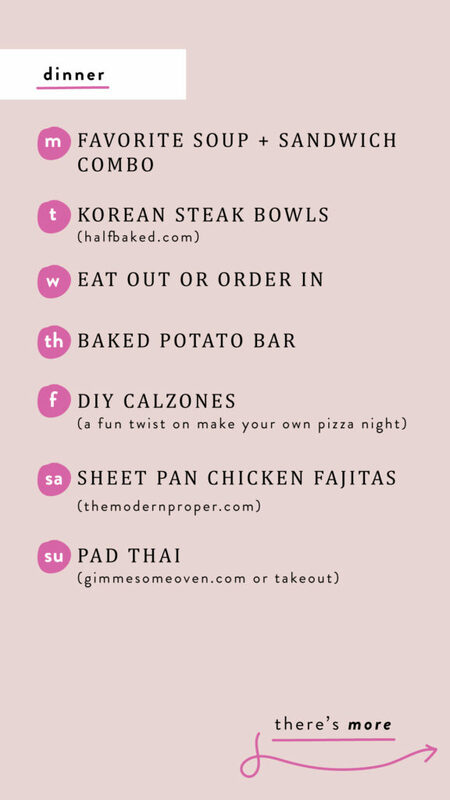 …side note: if you make nothing else from this meal plan, promise you’ll try the Korean steak bowls? I left a few notes next to the link below to help make it more kid friendly. m | philly cheesesteak, french dip, paninis, tuna melt, grilled cheese (these are so good! ), or pick up jersey mikes, jimmy johns, etc. t | KOREAN STEAK BOWLS we grilled the marinated flank steak and omitted the Korean Sunchang and chile paste to make it little kid (and me) friendly and it was sooooo good you guys have to try this recipe! The entire time I was eating it I was thinking, “I should take a pic and share on stories” but it was too good to put down, lol. 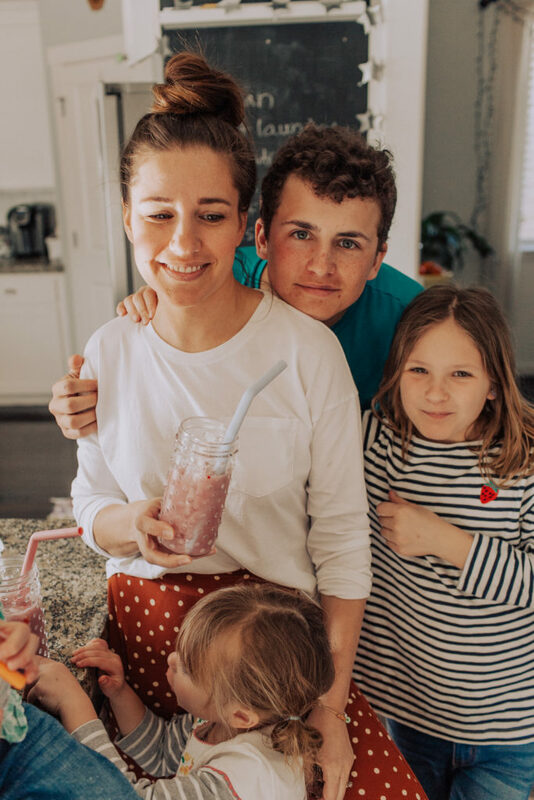 breakkie | shared a fun way to take smoothies and waffles to go in the “eat” story highlights, so many yummy egg bake options here, add sprinkles to cereal or yogurt for a quick upgrade! 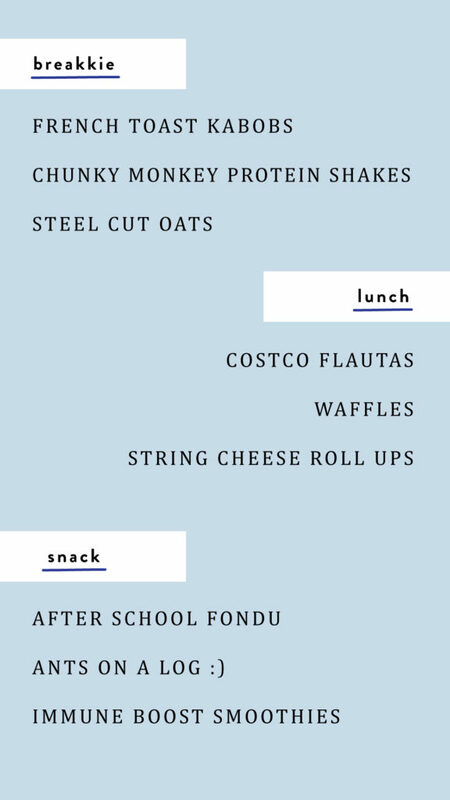 lunch | more simple twist on classics for lunch! 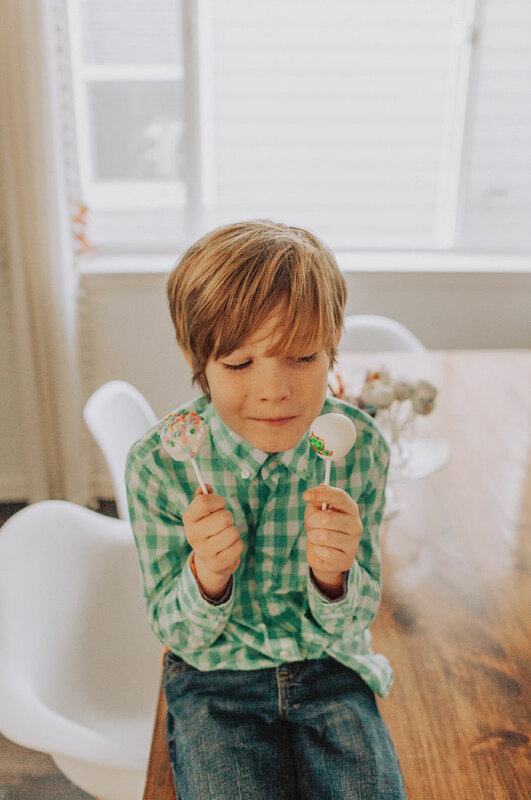 snack | pantry party mix is a great way to use up snacks, and we love making grape caterpillar kabobs (add candy eyes) and energy bites! 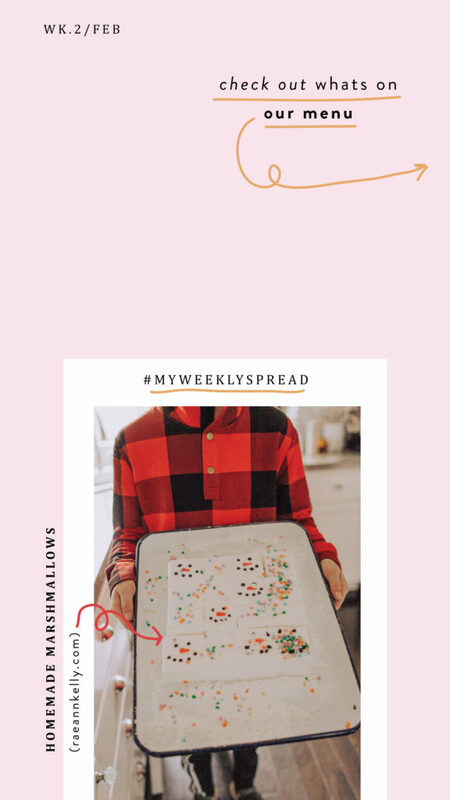 Would love to hear from you about these weekly plans! All recipe suggestions and feedback is welcome! We’re still hunkered down and enjoying snow days here in the PNW! The kids went to school one day last week and are home again today after a fresh 4+ inches of snow last night. I’ve said it so many times I’m annoying myself but, you guys this snow situation is unreal! Reminds me of my childhood in Chicago (minus the below zero temps thank God, ha!). Anyways, since I’ve been doing a lot of feeding people (playing in the snow really works up an appetite!) 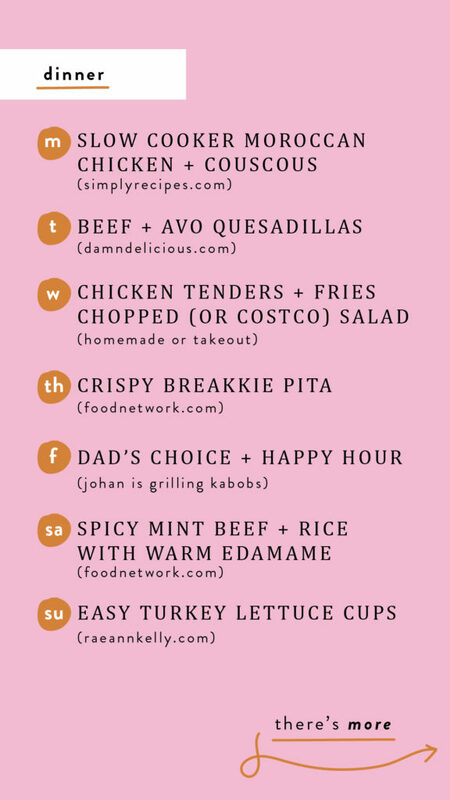 I tried to make this weeks meal plan super simple with easy substitutes. 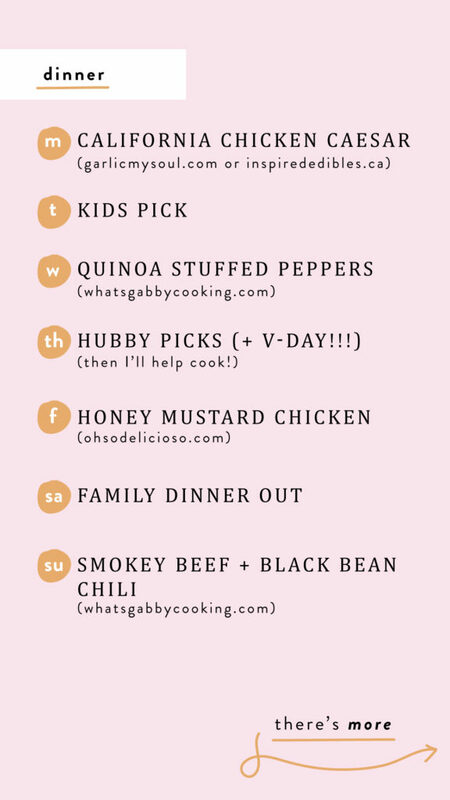 TH | hubby picks for Valentine’s Day and then we can cook together… maybe we’ll even feed the kids pizza, tuck them in early and enjoy a date night in! 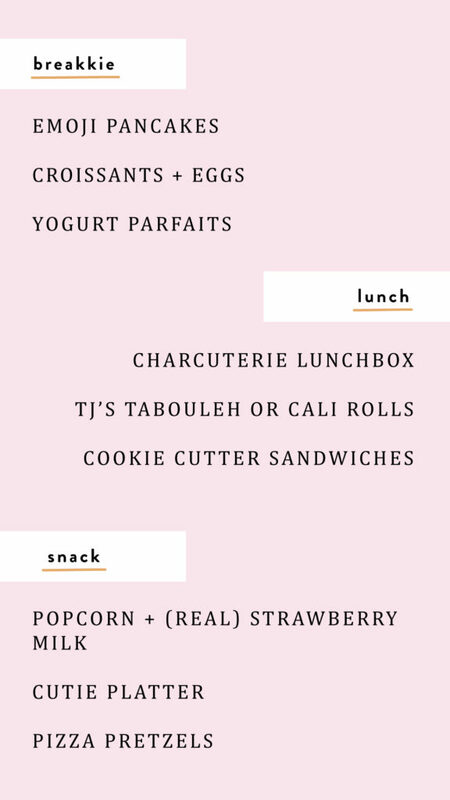 SNACK | homemade popcorn + strawberry milk (pink for v-day and there are lots of healthy version out there! 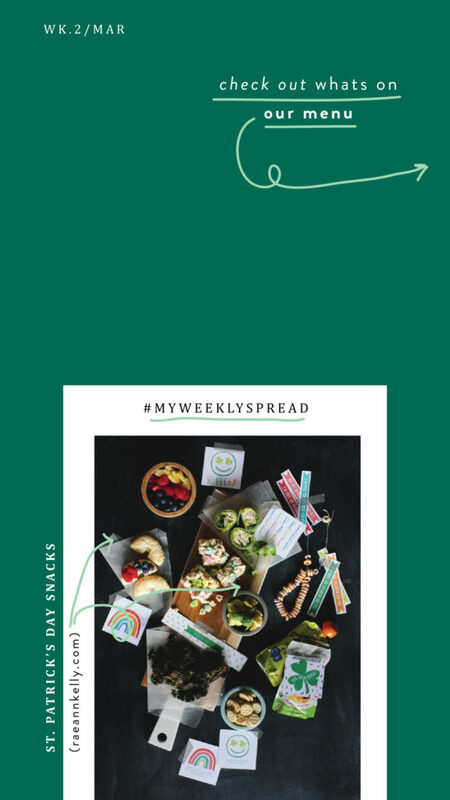 ), bread pretzels are easy to make with pre-made pizza dough – here’s a basic recipe, knead cheese in if desired, shape into hearts and dip in favorite red sauce if desired! Don’t forget to try our marshmallows recipe too! Do you guys have plans for Valentine’s Day? Johan almost always works so we usually celebrate on a different night. This year he’s home but I think we’ll stick to our tradish and avoid the dinner crowds slash overwhelmed staff. Whatever your personal feelings are about marshmallows I urge you to set them aside and try this recipe asap! They taste like sweet, fluffy clouds and are the perfect addition to a winter hot cocoa routine. 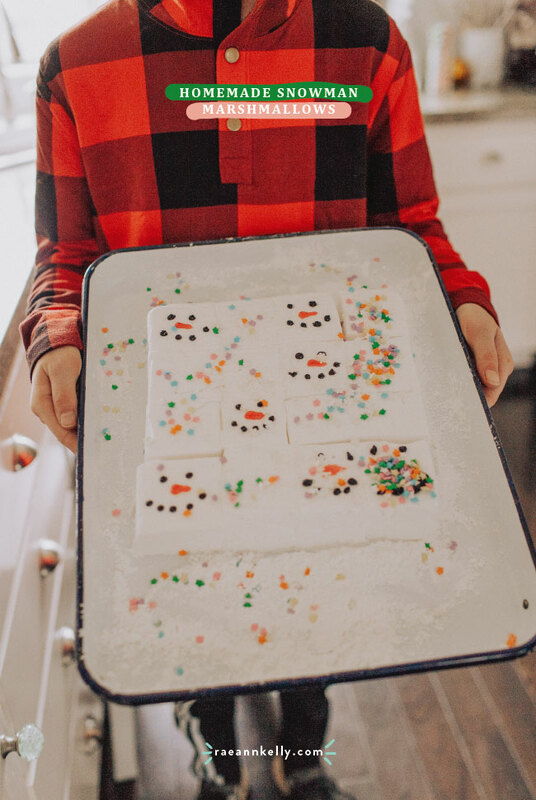 We turned this batch into snowmen using icing but have also used candy eyes and are dreaming up ways to embellish them for Valentines day too. There’s a recipe and video below to help with steps and show the consistency of each mixture. Just to clear up any possible confusion, we recorded this video in October hoping to get a “ghost marshmallows and hot cocoa” post up before Halloween but ran out of time. Then last month I thought, gosh it would be fun to make “marshmallow snowmen” and decided to take pics to share with you guys BUT forgot to get any images of the steps (oops!). So, we pulled footage (just off my iPhone, lol) and pieced it together. YAY! Consider yourself warned, tho. 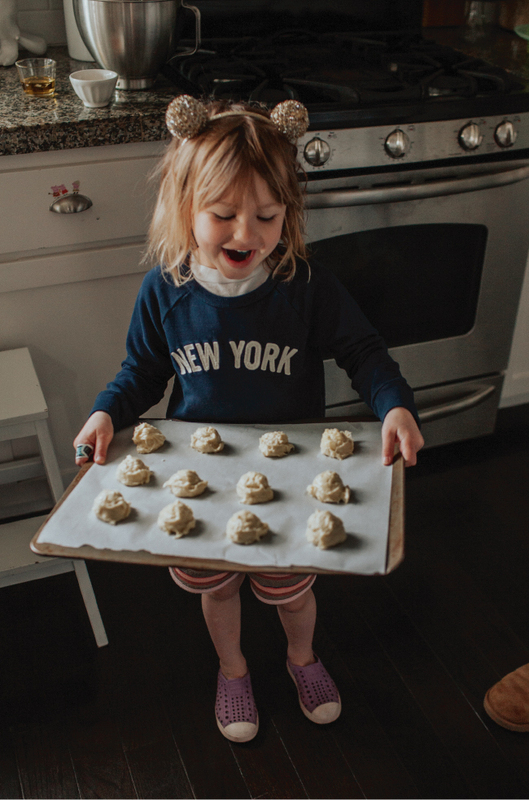 You know those sweet “cooking with kids” episodes and segments where the children stand looking prim and proper, waiting patiently for their turn to add ingredients or be in charge of whisking? Welllll, this is not one of those videos, lol. 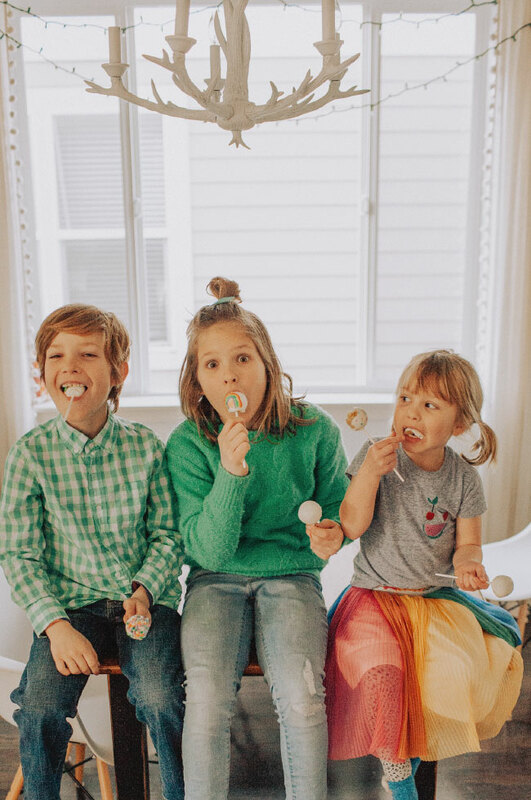 When the kids get involved in the cooking in our home, things get silly and messy in a hurry! I’m sure you can relate!? 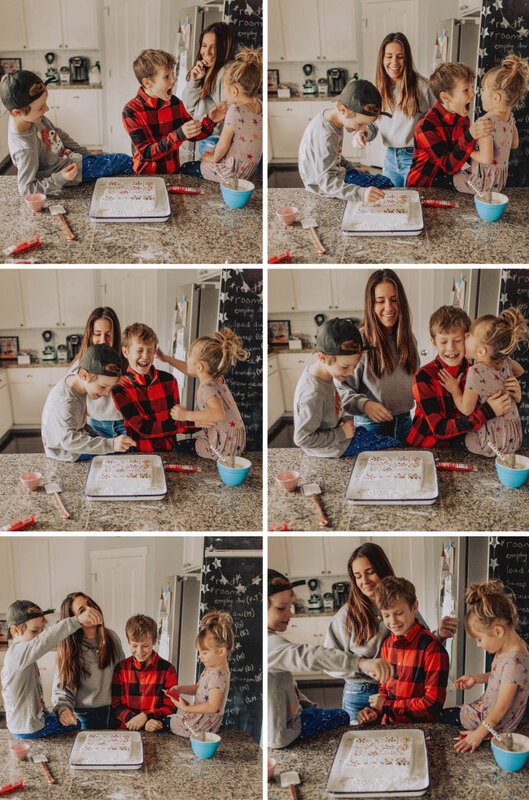 These images crack me up because I seem to be smiling through the chaos, but I honestly don’t remember Espen and Poppy pestering each other like the pics imply. Anyways, if inviting kids into the kitchen with you sounds more overwhelming than fun, I highly suggest having them take turns being your sous-chef. Things tend to escalate quickly when there’s more than one helping! Butter the inside of a 9×9 inch pan and set aside. In the bowl of a stand mixer, add 1/2 cup of water and sprinkle all 3 envelopes of gelatin over the top. Let sit. In a medium saucepan, add remaining 1/2 cup of water, sugar, corn syrup and salt. Stir to combine and then bring to a rolling boil. 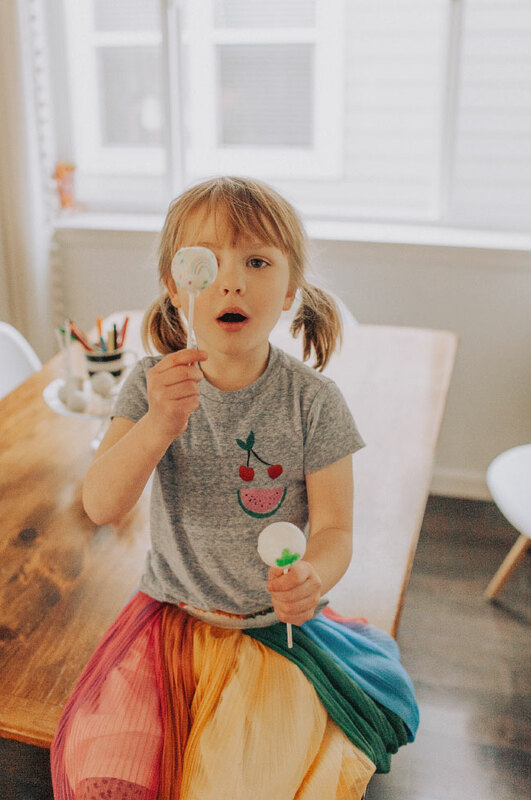 Continue boiling for about 1 minute or until a candy thermometer reads 240 degrees F. No need to stir while it boils and be very careful not to spill or splash (and keep kids in a safe spot) as it is so, so hot! Next mix gelatin mixture just enough to break up clumps. Slowly (and carefully) pour in sugar syrup. Turn mixer to high (make sure it doesn’t splash! ), add vanilla and whip until thick and gooey/fluffy (see video for reference). Approx 10 minutes. You can also add food coloring or sprinkles towards the end of this step too! Using a spatula, scrape into prepared pan and spread evenly. Grease a square piece of plastic wrap using cooking spray and cover the marshmallows (so the mallow and wrap are touching). Let sit for 6 hours to overnight. Serve immediately or store in an airtight container for up to 2 weeks. We’re prepping for a big snowstorm over the weekend so you can bet these will be on our menu and activity list. 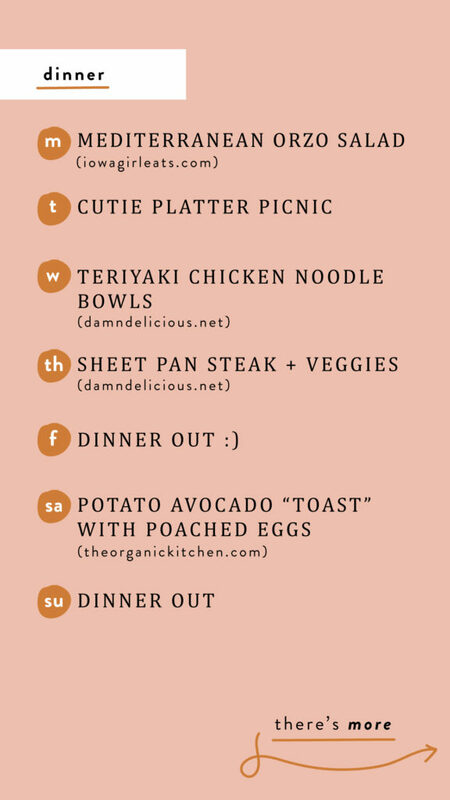 Ohhhh, I have a good and easy week of meals for you guys! Planned everything with busy evenings, snow days (yay! ), big flavors and healthy immune systems in mind. Hope it makes your week a little easier and a lot more delicious. Would love to know if you’ve been following along with meal plans or have any feedback for me… let’s chat in comments!